Lions are unique to the cat family. Unlike other cats they rely on strong family bonds, known as prides, which can be as large as twenty-two lions and cubs living and working together to dominate the African bush. 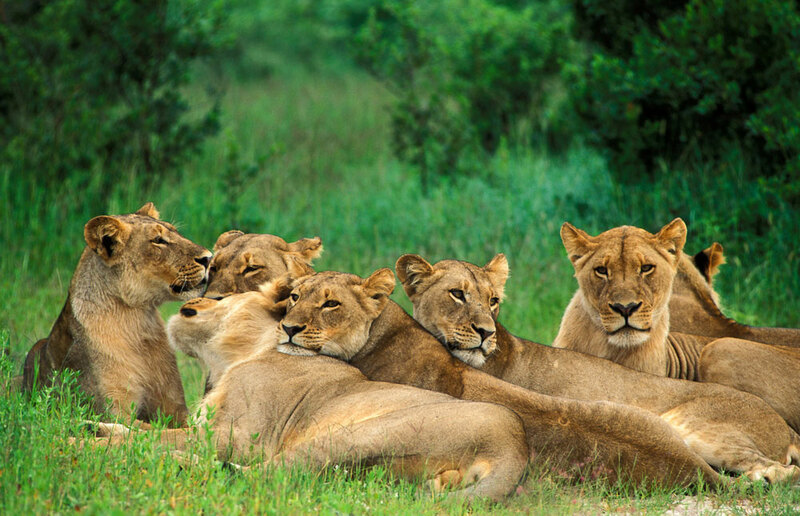 Each pride consists of up to three male lions, up to twelve females and all of their young and teenage cubs. All lions in the pride are related, and territorial. 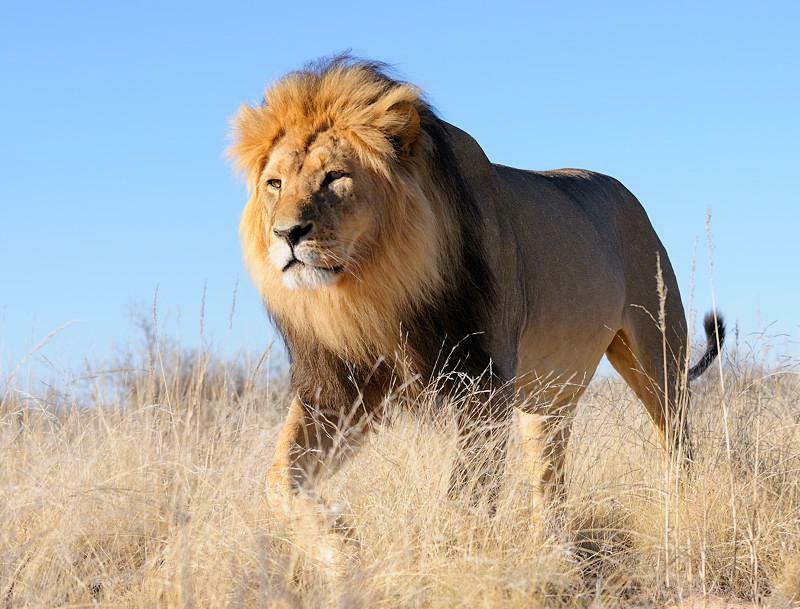 To prevent inter-breeding, juvenile lions will eventually be exiled to fight for territories and prides of their own, insuring the gene-pool for future generations. The males regularly patrol the boundaries of their land, issuing soft roars to remind bachelor males that his lionesses are taken. 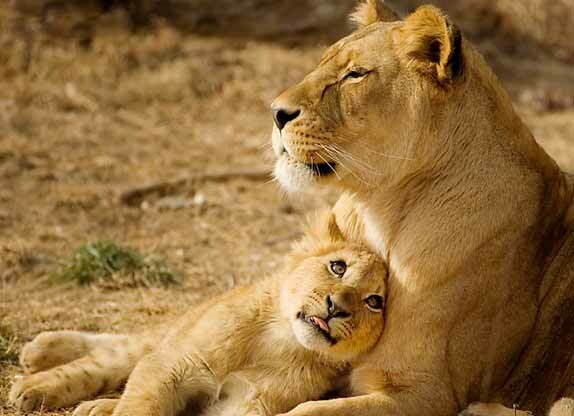 Cubs, which are subject to being killed by lions from other prides to reduce competition for territory, are nurtured and raised together by all of their aunts and sisters. Social skills learned as a cub are a valuable part of the lions’ success story. 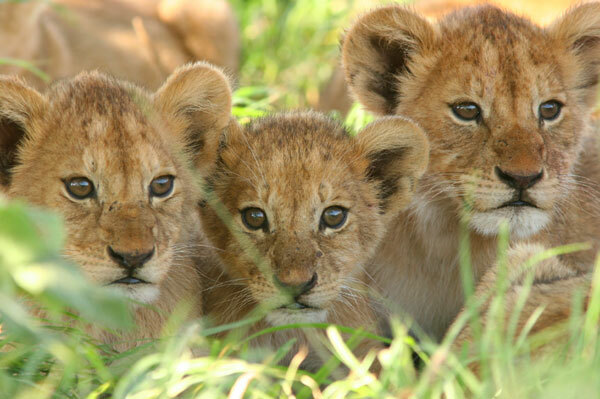 Once old enough, cubs are allowed to join the lionesses as they hunt in teams for the family. Males, weighing up to 400kg, lack agility, making them easy for prey to spot in the bush. Lionesses, weighing just 200kg, are quiet stalkers but lack the strength to pull down a large animal alone. Hunting together it is the lionesses who provide the family dinner. Reaching speeds of up to 80km per hour the lionesses, older cubs and junior males work together to tire their prey for a kill. 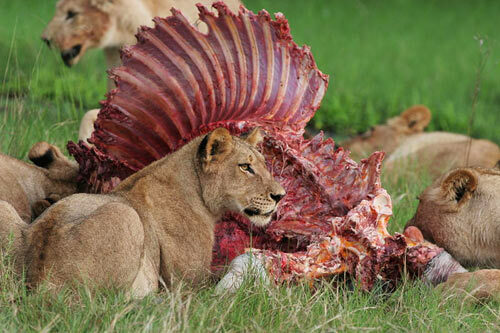 Male lions dine first, consuming up to 45kg of meat in a single feed. 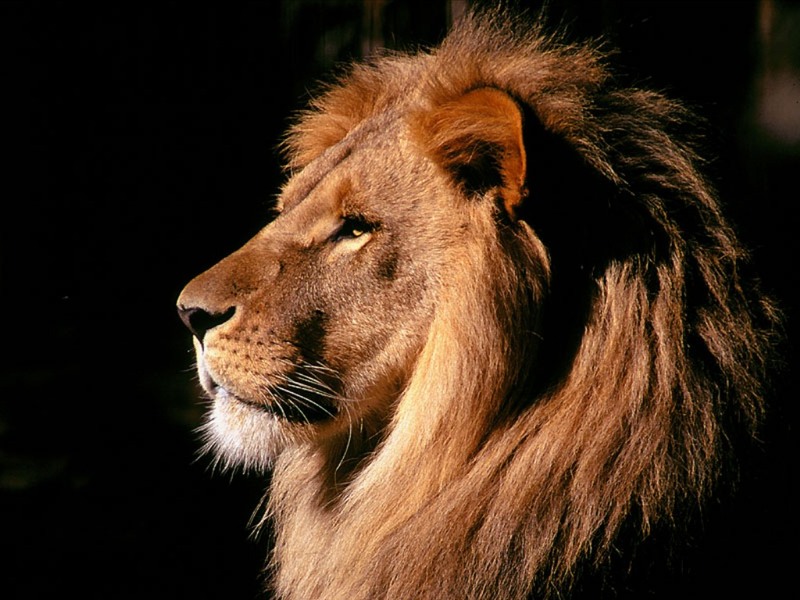 It is no wonder that the lion has been used as a symbol of strength, courage, royalty, stateliness, power, and pride across a multitude of cultures for thousands of years. 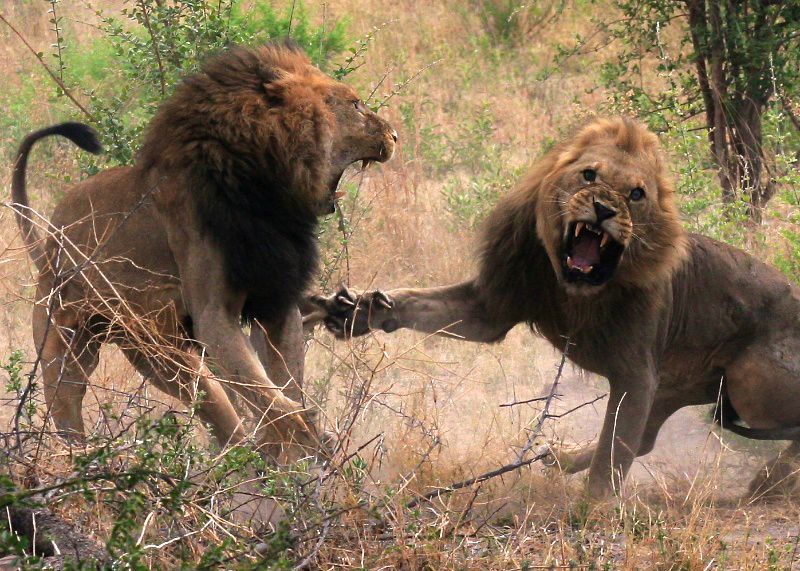 Lions, social and dedicated, embody strength, making them the most successful hunters in Africa.